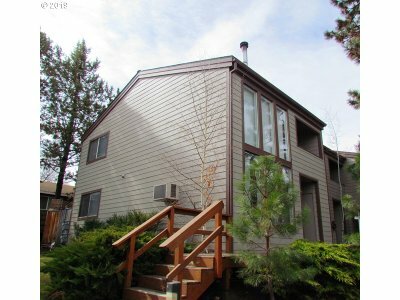 Located in the desirable Northwest section of Bend close to the Deschutes River with easy access or walking to downtown for shopping and dining opportunities or near by parks. End unit with a full bedroom plus a loft bedroom, new interior paint, clean and move in ready. High ceilings with high windows for lots of natural light. The building exterior was recently painted. Fenced back yard and common area lawn on the side.